I was watching the news a couple of days ago, and to my discontent... shocked about a piece of information about "Cinco de Mayo"
What do you think is celebrated on May 5th? Is it the Independence of Mexico? ... well, the newscaster thought it was. While May 5th is widely celebrated and thus made popular among the communities in the US... the meaning of this holiday appears to have dissipated and consequently has confused a large group of individuals. Let me put a light on this matter so that at least a few know what truly is. There are a couple mayor civil holidays that celebrate the Freedom of Mexico, be it gaining it or protecting it. 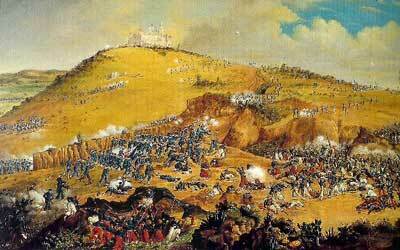 Today we will talk about two of them; Mexico's Independence Day, and Battle of Puebla, but mostly on the Battle of Puebla. This is the start of the Independence War by Miguel HIdalgo y Costilla (Priest). The holiday starts at night when "El Grito" (the cry of war, call to battle, gathering of the soldiers -campesinos-) was given by Hidalgo. And on the 16th the procession of war begins. The Battle of Puebla. This day we celebrate the defense of Mexico's Independence, NOT the gaining of it. 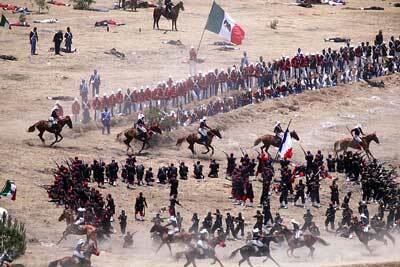 Cinco de Mayo marks the defeat of the French Army sent by France under the rule of Louis Napoleon III. This holiday is not as popularly celebrated in Mexico as it is in the US. The Records show that after the Mexican President Benito Juarez on July 16th of 1861 decided to suspend payments (due to economic crisis in the country) of debts for two years to the three major European powers at the time. The French didn't accept this offer to temporary suspension of payments as the English and Spaniards did. The French troops were ordered to Mexico City and President Juarez sent General Ignacio Zaragoza Seguin to fortify the City of Puebla 100 miles to the east of Mexico City in defense against the coming French troops. Cinco de Mayo (the celebration of the Battle of Puebla on May 5th, 1862) commemorates the bravery and audacity of a poorly equipped and a much outnumbered Mexican Army, conformed of Mestizos and Zapotec Indians, inspired by freedom and determined to defend it were able to defeat the French at the forts of Loreto and Guadalupe in the City of Puebla. It is said that the young Gral. Zaragoza had ordered his calvary to the flank of the French army, as they chased them in a planned ambush, the infantry was left to fight in a muddy battlefield that gave the Mexican army the advantage needed to defeat the French army. While the victory was one of substantial importance because the underdog Mexican army, which was well outnumbered, defeated the ominous French army creating a moral boost to all of Mexico. 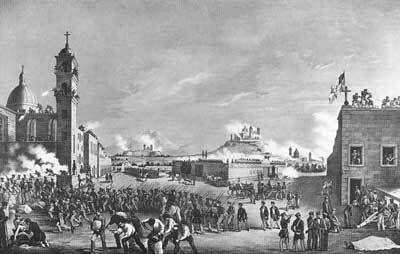 The French, however, sent many more troops and a year after invaded Mexico City. So, how come that the US celebrates this holiday more than Mexico? There is a story of how a high school teacher in the Los Angeles area had looked for an important holiday to celebrate during the school year and found the Battle of Puebla to celebrate with the students. This celebration in the LA school system, along with the commercialization of Cinco de Mayo by the US in Hispanic areas, has become a very popular day of FIESTA for Americans, Mexicans, and Chicanos (American born Mexicans) alike all over the US. The Cinco de Mayo celebrations (which include traditional dances, pinatas, and foods like Mole and Chipotle Sauces, Tacos, Tamales, and Margaritas of course) can be found in most major cities of America today. Re-enactments of the Battle of Puebla are performed in these cities, as well as in most areas of Mexico... including of course the City of Puebla where every year the festival is most celebrated. What happened when the French succeeded in the invasion? Well, Napoleon III's cousin (Maximilian) became emperor of Mexico but for only a couple of years (1864-1866) before Napoleon would withdraw his troops from Mexico and President Juarez's government was able to return from exile. Would you like to know when other Mexican Holidays are celebrated? Have Questions? I've got Answers!!! Comment below.